The lilacs are in bloom and the 70th Annual Mackinac Island Lilac Festival has begun! We are so thankful to the French for bringing these fragrant flowering trees bursting with a plethora of purple and white to our little island in northern Lake Huron. It allows us to celebrate every June as the flowers bloom. This year’s festival runs June 8 – 17. 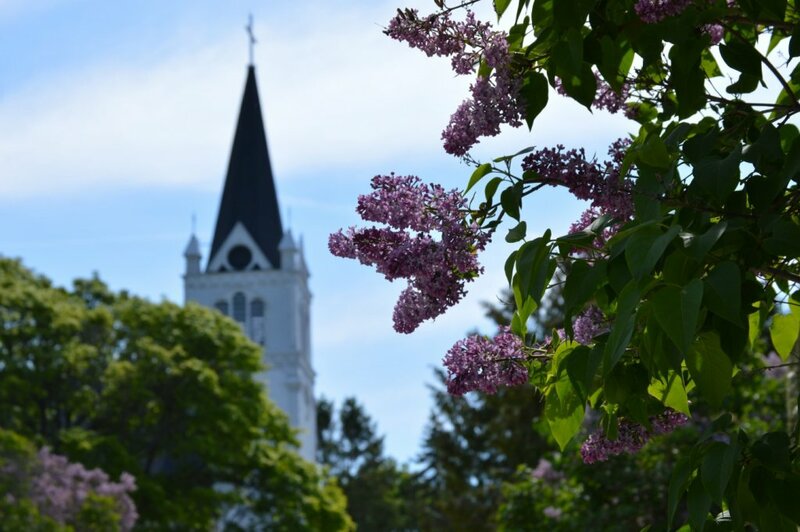 The Lilac Festival signals the start of our summer season on Mackinac and there will be activities for the whole family. From garden tours to wine and beer tasting to parades, we’ve got it all. There is a free bounce house playground at Windermere point, so make sure the kids get a chance to play while you’re there. For a full list of activities, click here. The whole festival culminates in the longest running horse-drawn parade in the country. New this year, 9 & 10 News will be live streaming the parade on their Facebook page starting at 4pm on Sunday, June 17th. If you can’t be here in person, be sure to tune in to see all the action as it unfolds on Facebook. For those in the broadcast area for 9 & 10 News, they will be airing a 30 minute special on Saturday, June 24th at noon. We hope that you can make the trip to the Island to experience the festival first-hand this month. Be sure to buy discount Scan & Go tickets here.